Family Law Paralegal Job Description | Fremont College | What Do Family Law Paralegals Do? Family Law Paralegals may assist attorneys in matters involving child custody, divorce, tax and finance laws, adoption, social services, and any other issues concerning families and the law. They may conduct interviews with the parties involved in domestic disputes, divorce or child custody. Family Law Paralegals may also obtain and prepare evidence for hearings and trials, research and confirm whether information obtained is accurate, draft legal documents, prepare written reports for cases, and arrange legal arguments if an attorney decides to file a lawsuit. 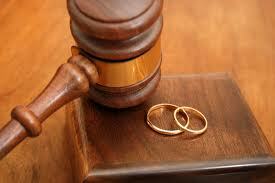 Typically, most of the work Family Law Paralegals do will might be focused on divorce cases. Family Law Paralegals work mainly in law offices. Individuals who are interested in this field must be able to handle confidential information as well as work under extreme deadlines to prepare for court proceedings. The Family Law Paralegal salary varies based on experience. It is important to choose the right Paralegal school when preparing for a Family Law Paralegal career. A number of employers might prefer students who graduated from an ABA-approved Paralegal school. Fremont College is one of only a number of ABA-approved Paralegal schools in California, providing the knowledge and real-world training you need for a successful Paralegal career. You can earn a Paralegal degree in just 15 months when you enroll at Fremont College. Enroll today in ABA approved Paralegal programs and be on your way to an exciting and rewarding career in Family Law!